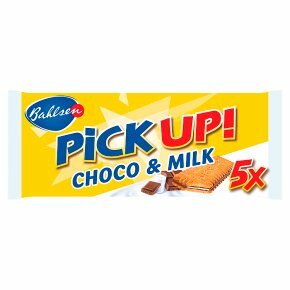 Milk chocolate bar (31%) with a milk cream filling (13%) between two crisp biscuits. UTZ Certified cocoa. A real chocolate bar with milk cream filling. No added preservatives, artificial colours and hydrogenated fats. Suitable for vegetarians.